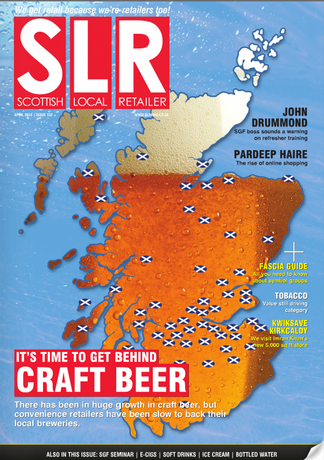 SLR (Scottish Local Retailer) is Scotland’s only monthly magazine aimed exclusively at Scotland’s independent, convenience retailing sector. The magazine is recognized as the voice of the country’s vibrant small shop sector, a sector that continues to prosper in spite of the tough economic times and consolidation of recent years. SLR’s approach has always been a practical advice and help-led one, with a single, all encompassing and very simple aim: to help our readers make more money. Great trade mag that covers all the relevant topics for our industry.